While the Dumb Starbucks Coffee, which graced the Los Feliz neighborhood of Los Angeles over the weekend of February 7th, has been shut down (for a different violation of law than anticipated), the store’s presence raised a host of intellectual property issues. The shop (oh, sorry, the “art gallery”) claimed, via an FAQ, to be protected by parody, stating that “[b]y adding the word ‘dumb’, we are technically ‘making fun’ of Starbucks, which allows us to use their trademarks under a law known as ‘fair use’”. Too bad this isn’t entirely accurate. What’s worse, the next sentence goes on to say “[f]air use is a doctrine that permits the use of copyrighted material in a parodical work without permission from the rights holder”, showing confusion on the part of the author as to which intellectual property regime (trademark or copyright or both) on which the shop was relying. While the store contains a mix of trademark and copyright elements (think: the logo, signature drinks, and potentially the store interior), these intellectual property regimes provide different protections and possess different sets of requirements. Perhaps the FAQ was a joke as well, but it does raise some interesting points of discussion on the topic of fair use; specifically, parodies under fair use. As a threshold matter, fair use (including parody) is an affirmative defense. This means that under either regime (trademark or copyright), infringement is required before parody can be used as a defense. Parody under trademark law requires that an otherwise infringing work be two things at once: making a statement on the subject matter of the work which is being copied, and simultaneously viewed as humorous by the consumer. The factors for determining whether something is a parody are: (1) that the use is descriptive (in other words, that it is being used to provide information about the trademark), (2) the claimed parody is not being used as a mark or a source identifier, (3) the claimed parody is being used fairly (that is, that it describes the goods accurately), and (4) the mark is being used in good faith. As mentioned in my article on fashion parodies, under current case law, an article that it being sold for profit (dubbed a “commercial use”) bears less chance of being considered a parody; in other words, this increases the chances of a court finding the claimed parody work infringes on the original. Money need not change hands in order to be deemed a commercial use; giving things away (in the form of samples, etc.) has been found “use in commerce” sufficient enough to establish trademark rights. Parody in copyright is governed by 17 USC §107, the fair use statute of the Copyright Act. 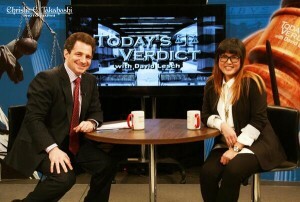 Fair use allows for works of commentary, criticism, and research, among other things, to escape liability for copyright infringement, employing a four-factor, non-exclusive test to make this determination. Turning specifically to parodies, courts tend to focus on the “transformative” nature of the work; a true parody is meant to do more than supersede the underlying work, displaying an additional layer of thought in order to make a point about the original subject matter. While it is necessary to copy some of the original work in order to invoke recognition by the consumer, fair use does not allow for wholesale copying. Ummm…what? You can’t do this under trademark law; you cannot just choose someone’s already registered trademark and use it as your own to free ride on pre-established goodwill to promote a product. Using a mark for marketing purposes doesn’t match any of the four requirements for parody under trademark law; moreover, a successful parody must both comment on the underlying trademark while being funny (here, it seems they were just trying to be funny). Turning to copyright, the proprietor, later revealed to be comedian Nathan Fielder, claimed to have no problems with Starbucks; this tends to negate the purpose of the use being for commentary, criticism, or any of the other acceptable fair uses laid out in 17 USC §107. Adding the word “dumb” in front of a registered trademark does not seem to refute a claim of trademark infringement. (Although some have said there is no consumer confusion giving rise to an infringement claim, this point seems debatable in our society of spoofs and companies poking fun at themselves). Nor does placing “dumb” in front of copyrighted material provide an escape from a claim of copyright infringement. If it were that easy to trade on the goodwill of a well-established brand or copyright holder, we would probably see this type of behavior more often, which signals to the public that this type of thing is not alright in the eyes of the law. In contrast to other jokes, including the rather infamous In-N-Out Burger April Fool’s Day gag by College Humor (where only fliers were handed out), here, the store was operating as a fully functioning Starbucks, apart from the fact that the drinks were being given away for free. As mentioned earlier, however, this can qualify as commercial use and push against a finding of parody. 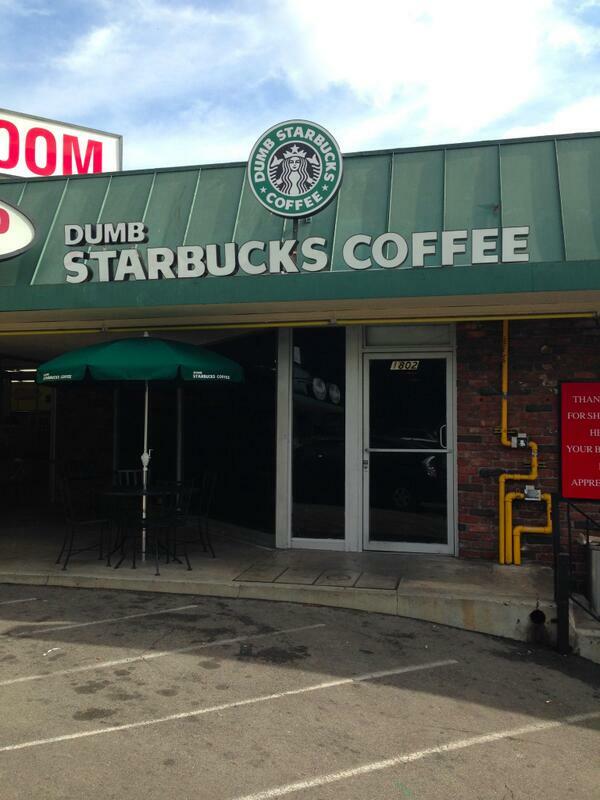 Assuming that the Dumb Starbucks is found to be a true parody, another potential issue could be realized: the strip mall owners, who leased the space to the coffee shop that was trading on the goodwill of the Starbucks Coffee name, could be secondarily liable under trademark law. 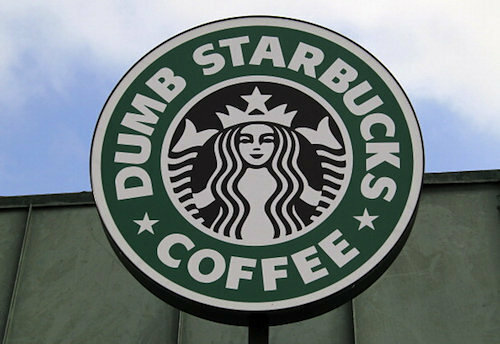 If the individual or company leasing the premises was aware of the nature of the Dumb Starbucks Coffee business, they may be held liable under the theories of vicarious or contributory infringement. Nathan Fielder claims to have plans in the works to open another Dumb Starbucks on the east coast in the near future. Maybe this stupid (har har) decision will result in a lawsuit on the application of fair use to a commercial establishment and the legitimacy of Fielder’s “art gallery” claims.